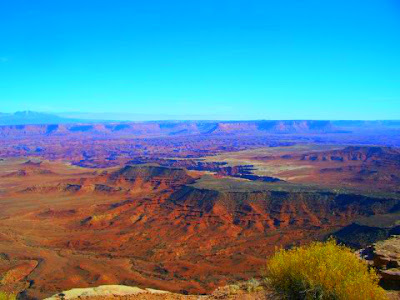 This week for Travel Tuesday, I'm going to take you on some sights you may not ever think to stop an view, if you are ever driving through Southeastern Utah. These views, are looking east towards Colorado, as you can see the Colorado Plateau's in the far faint distance. The skies in this area are just stunning, as this part of the country is far away from large cities and major pollutants. So not only can you view beautiful blue skies, but you can see great vast distances around you. While this part of the country is mostly just viewed from above as drivers and tourists stop for a rest. The truth is, if you are adventurous there are roads and trails that can take you down into these Canyonland Country areas. 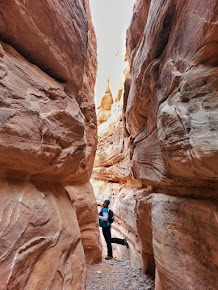 The canyons open up deeply at times nice and wide, and other times just enough for slot canyon explorers. I often tell people if I had weeks to just explore and get myself lost in the beauty, getting down into these canyons and taking the different turns of exploration would be high on my list. As there is so much to see, and lifetime isn't long enough to see it all. Until then, I visit from time to time and get down in and see different areas. 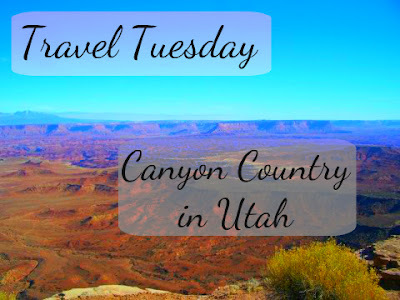 You can start viewing these stunning sights of canyon country just south of Moab, or even S. East and S. West as you venture into different area's of Canyonlands National Park and the surrounding areas. So if you find yourself on a drive through this part of Utah. Trust me, you'll definitely be missing out if you don't stop at the different rest stops and overlooks. As you can see stunning views like this with not much effort at all. 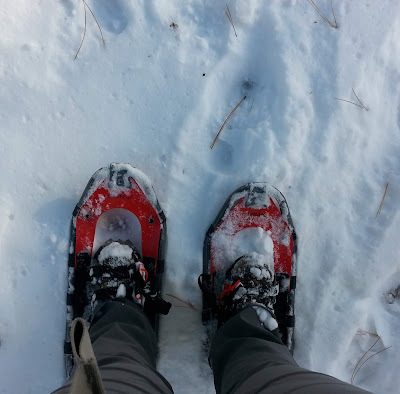 But if you love to explore, let me tell you there is a beautiful world down in those canyons below. I'll have to show you some of them in future travel posts! 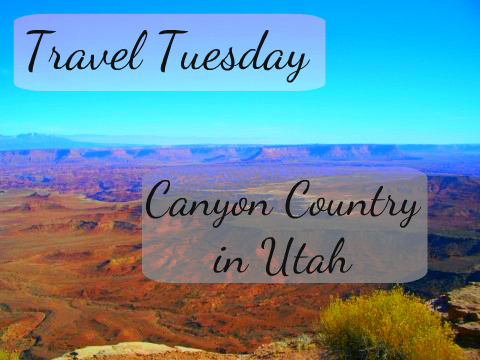 Have you visited Utah's Canyon Country before? If so, what area's have you been to? This is really beautiful. Unfortunately I don't see myself visiting Utah for any reason (unless of course I come to visit you)! It's some pretty country around this area! LOL Well you are always welcome to come for a visit! I have never been to Utah but all these picks you post make me want to go visit you! On the list for sure!!! The race pacer I ran with on Saturday had just come back from the Grand Canyon. She ran some course either through or around it (50miles)! Oh it's so true, the pictures don't really do it justice. Seriously in person, I can just sit and stare out at some of the views at times forever, we live in a beautiful world, love it! Oh I love the Grand Canyon area. A race there would be awesome! 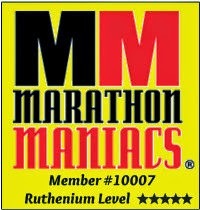 One day I'd love to get a friend or two together and run rim to rim, it would be spectacular! Beautiful! I have visited. 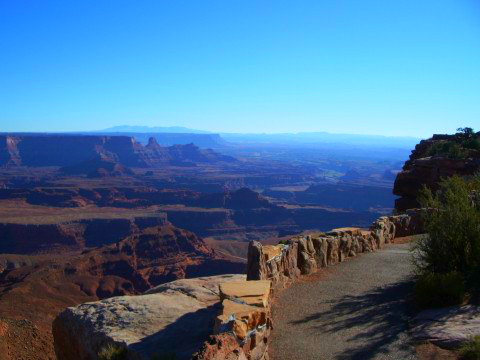 I think we went to Dead Horse Point State Park, such an awesome place! Definitely a place I want to take the kids to some time! Dead Horse point is also a gorgeous area! 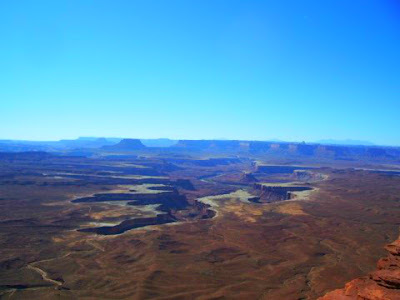 These pictures are an area of Canyonlands which is down the road south and a little east a bit. Definitely gotta take the kids to that part of Utah sometime! If you can, Goblin Valley is a kids playing paradise, it's rock voodoo playland!